Who hasn’t ever interviewed someone and known within the first minute or so that the meeting was going to be a complete waste of time? Unfortunately, this scenario happens more often than we’d care to admit. And considering the effort involved in planning and conducting phone or in-person interviews, it’s a major waste of time and resources. But now a company has come along that harnesses the Internet and camera technology to offer a different approach that I find pretty intriguing. It’s called Ziggeo. Founded by entrepreneurs Susan Danziger and Oliver Friedmann, it’s an online service that enables HR managers and others to screen job candidates and other people using video technology. It’s as simple as posing a few questions on the Ziggeo site … then providing a Ziggeo link to the interested parties for them to respond. Job candidates simply click on the link to receive the questions. 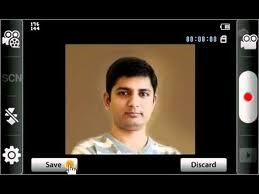 They respond with short video recordings, which the HR manager can view at his or her convenience. It’s an efficient and inexpensive way to prescreen job candidates in the very first stage of the interview process. Since most people have video capabilities embedded in their digital devices these days, they can respond easily without being impeded by a lack of technical tools. And if candidates balk at participating … chances are those people wouldn’t have ended up on the short-list of finalists anyway. Ziggeo has also incorporated a simple “rating” functionality into its system to make it easy to grade the quality of video responses, which would come in handy for people who are evaluating a large number of candidates. I think this is a great way to separate the “wheat from the chaff” when it comes to people selection. Plus, we get to see how people are responding to our own specific questions … not having to rely just on resumes, covers letters and the like. Ziggeo can also serve as a quick, easy and affordable method to “vet” video testimonials and media interviews. Like so many other web-based offerings, Ziggeo offers different usage plans based on the level of need. There’s a free plan that allows for video clips up to 20 seconds in length, as well as a “personal” paid plan that allows clips up to two minutes long. The Ziggeo Pro premium-level service levels goes a lot further than that, allowing for hundreds of videos up to 15-minutes in length plus multiple screening rooms, which should prove most popular with hiring practitioners and human resources departments at large companies. I don’t have personal experience with this tool myself, but it seems like its positive attributes as a “first sort” for personnel selection would far outweigh any negative aspects. What experience have readers had with Ziggeo or similar video screening services? Would you recommend using them, or are there drawbacks? Please share your comments here. Why wouldn’t you just ask an interesting candidate for a Skype address? I think the beauty of this is that it isn’t “real-time interactive”; you can watch responses in advance and decide who you wish to move on to the next step — an in-person or phone or Skype interview.